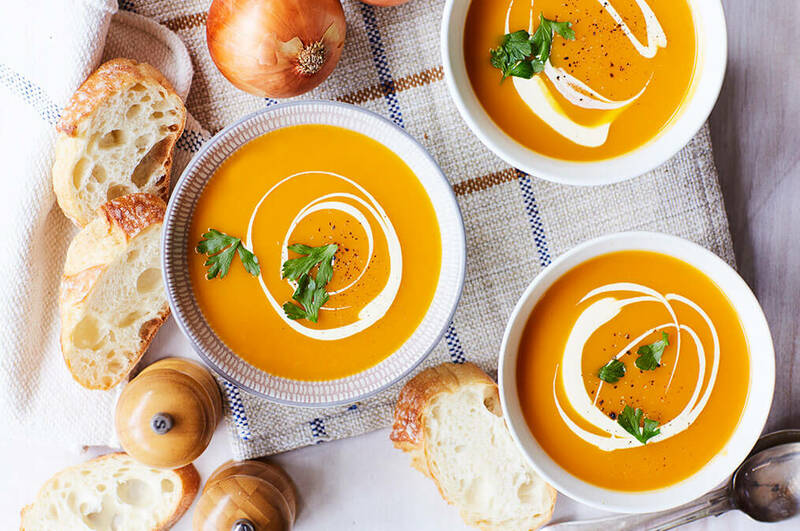 There honestly never existed an easier recipe than this Easy Pumpkin Soup. Not only is it simple to make, it tastes delicious too. Place the pumpkin, onion and stock in the slow cooker. Cook on LOW for 4 to 6 hours, until pumpkin is soft and cooked through. Using a stick blender, blend until nice and smooth.